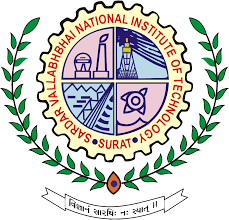 Sardar Vallabhbhai National Institute of Technology, Surat has published Advertisement for below mentioned Posts 2018. Other details like age limit, educational qualification, selection process, application fee and how to apply are given below. Educational Qualification: Having a first class in M.A./M.Sc in Sciences, MBA in Humanities, M.E./M.Tech in Engineering & Technology and in preceding degrees. Preference will be given to Ph.D. candidates in the relevant field.